Great pictures … I also like Jared Flood’s designs. 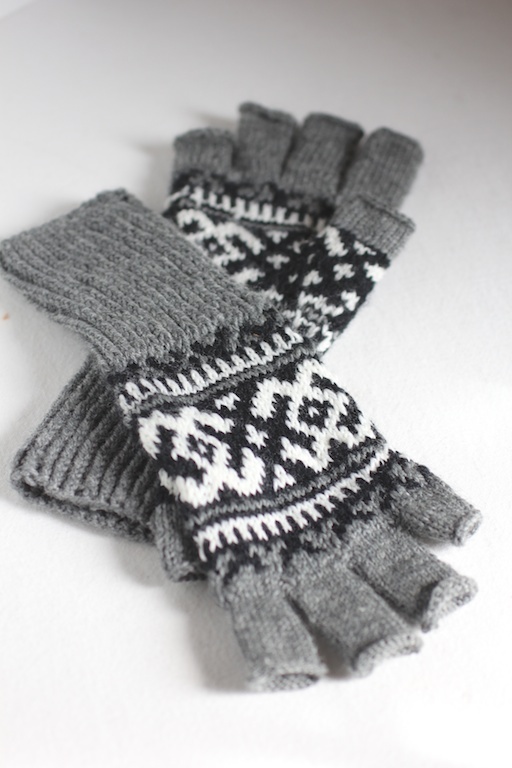 I knit a couple of pairs of fingerless (no fingers at all) where I curved the glove to match the curved line of the middle set of knuckle joints. I love that your son wanted them. I am knitting a scarf in the hope that my 17 year old Sony take a fancy to it. My 18 year old daughter does ‘do’ hand knitted!! Very nice, I’m not surprised your son nicked them! Useful too. What type of cast off did you use? It looks so neat and tidy. 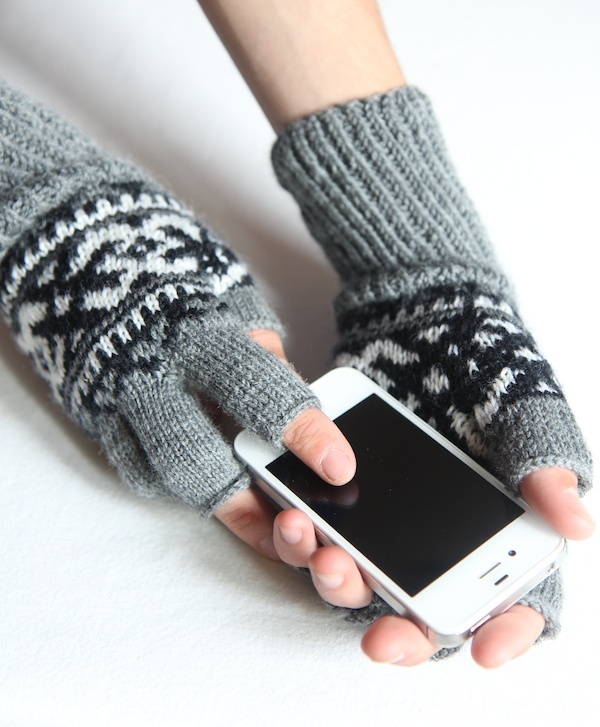 I’ve only ever done fingerless, but I’d love to try these. I did JF’s Guernsey wrap and I’m thrilled with it; wore it last night for the first time as it’s getting quite chilly here in Spain. I used Blacker’s yarn, a UK firm, don’t know if you know them but they have some gorgeous yarns. Oh my gosh! Those are amazing! I don’t knit but I am dying to learn as I have loved these and all those that you shared with us last year! How blessed your family is to have you knitting such wonderful gifts for them! Great gloves and you did a beautiful job on them! These are absolutely gorgeous! I don’t blame your son for taking them at all. He has great taste. I’m just learning how to knit, so I might seem a little silly in saying it, but I’m in love with your work in progress pic. It’s really neat to see all the stitches and colors and how they combine in order to create a beautiful pattern. 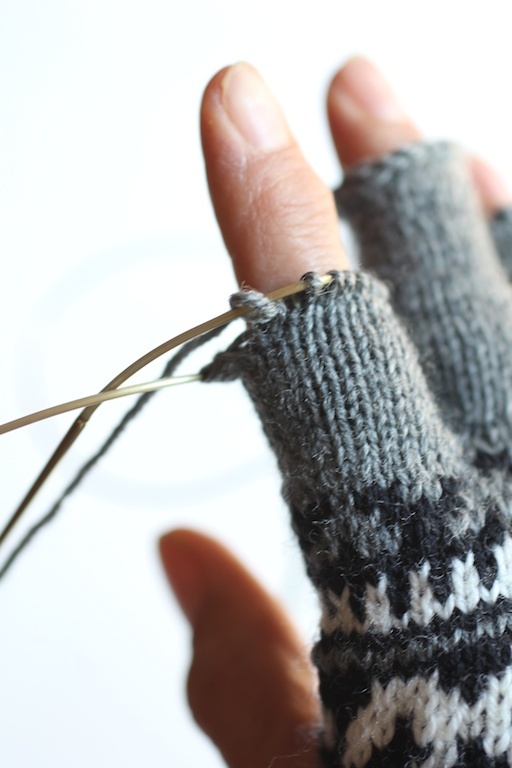 I’m a relative beginner knitter and never would have thought to substitute circular needles to make the fingers. I’m pretty excited! These are beautiful! 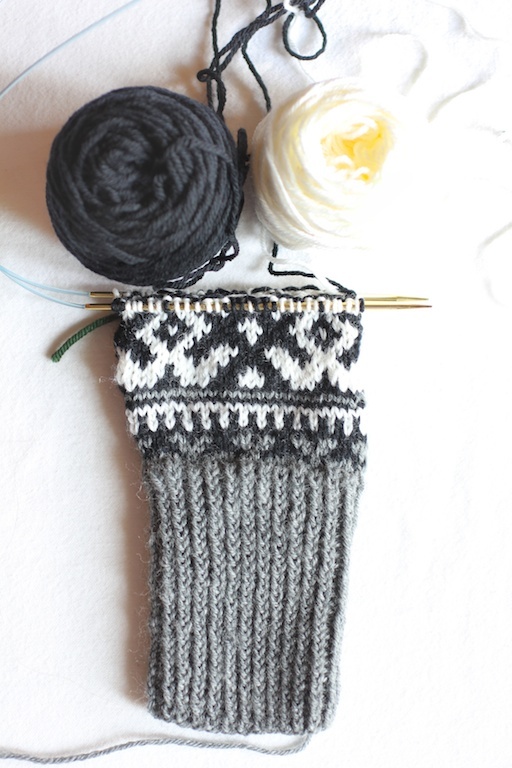 I bought the pattern and really want to make them, having never made gloves before I read the pattern first the ‘we are now working the thumb gusset’ just didn’t leave any clear instructions… is there anywhere online where this is described in detail? Thank you for your help!